The holiday season is almost here! 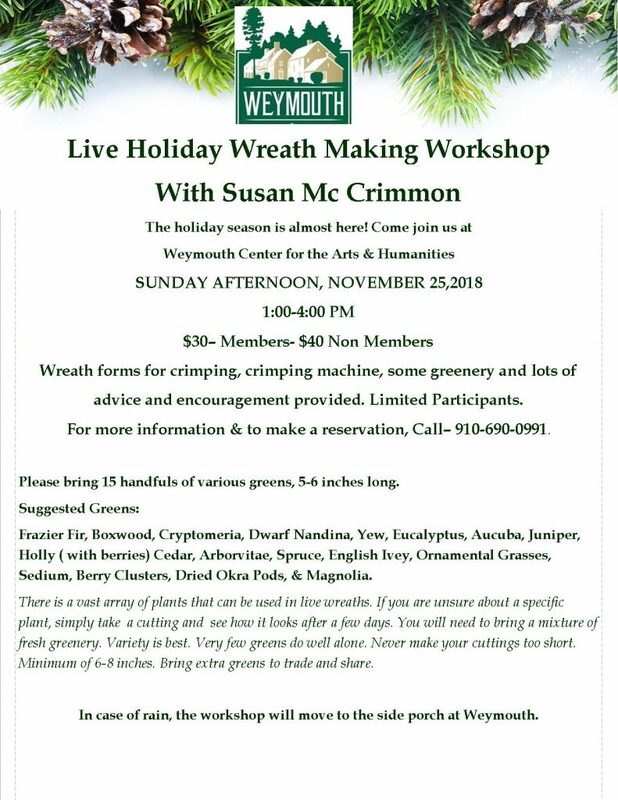 Join us at Weymouth Center for the Arts & Humanities on Sunday, November 25, 2018 from 1:00-4:00PM for a live holiday wreath making workshop with Susan Mc Crimmon. Wreath forms for crimping, crimping machine, and some greenery. Lots of advice and encouragement provided! 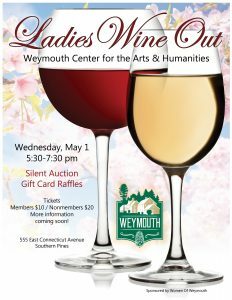 For more information or to make a reservation, call (910) 690-0991. Please bring 15 handfuls of various greens, each 5-6 inches long. There is a vast array of plants that can be used in live wreaths. If you are unsure about a specific plant, simply take a cutting and see how it looks after a few days. You’ll need to bring a mixture of fresh greenery to the workshop. And a variety is always best. Very few greens do well alone. Never make your cuttings too short. Minimum of 6-8 inches. Bring extra greens to trade and share. 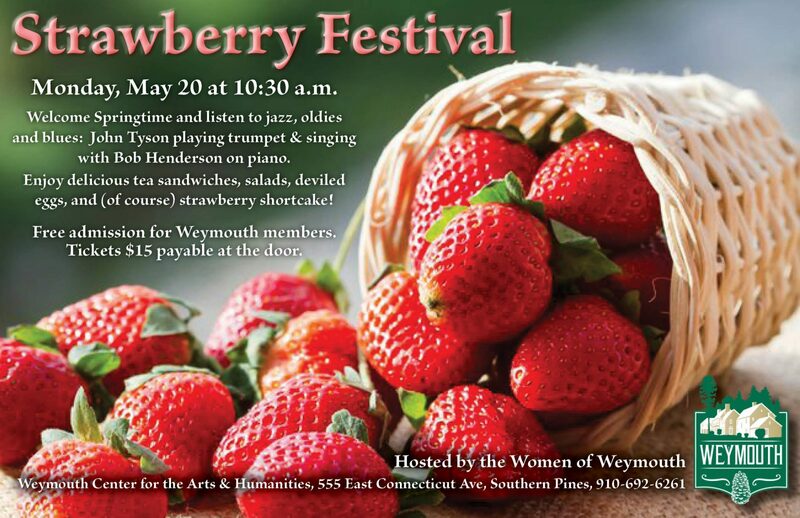 In case of rain, the workshop will move to the side porch of Weymouth.